Go green (and save green) with our diverse service offerings. We have used innovative new technologies, such as IoT sensors and self-driving machines, to continually raise the value of green cleaning. C&W Services is the one of the few facilities management companies operating nationwide that is both CIMS and CIMS-GB certified. Ever since we first launched our Green Clean program back in 2004, it has served as the benchmark for green cleaning operations across North America and Canada. We’ve worked hard to maintain this standard, constantly evaluating new products and systems that have helped us keep our customers’ facilities clean, healthy, and efficient. To illustrate our commitment to providing healthier workplaces, we’re detailed the ins and outs of our green cleaning program and outlined the numerous certifications and awards that the program has received. Upheld by The World Wide Cleaning Industry Association (ISSA), CIMS is the first consensus-based management standard that outlines the primary characteristics of a successful, quality facilities management organization. This designation helps companies stand out in the industry, and it communicates to those looking for facilities solutions which companies are prepared to deliver consistent, quality service. Additionally, the CIMS-GB certification identifies the companies that have comprehensive green cleaning programs that are based on LEED: EB O&M green-cleaning criteria. C&W Services is the one of the few facilities management companies operating nationwide that is both CIMS and CIMS-GB certified. By implementing the CIMS-GB principles into our operations, we’ve established our capability to provide green cleaning services and to assist customers in achieving points under the LEED Existing Buildings: Operations and Maintenance (LEED-EB: OM) standards. Read more about how C&W Services is CIMS certified. Another sign of our leadership in the green cleaning space is our presence on the Leadership in Energy and Environmental Design (LEED) for Existing Buildings (LEED-EB) committee that formulated the new LEED Operations and Maintenance standard. LEED is the most widely used building rating system in the world. We have the expertise to help our clients with LEED accreditation, from strategy to documentation to implementation to support. Our many LEED APs and Green Associates work with site staff using Standard Operating Procedures (SOPs) that are fully supportive of LEED-EB certification guidelines from the US Green Building Council (USGBC) and the Canadian Green Building Council (CaGBC). The first LEED-EB O&M Gold certified building in the world. The first LEED-EB Silver certified building in the world. The first LEED-EBOM certified multi-building corporate campus in North America. The first LEED-EBOM Platinum certified building in New England/New York. The first LEED Gold certified mall-based store. The first LEED-EB certified building in Boston. The first LEED Gold certified office building in Toronto, Canada. Our green cleaning program has been recognized by a number of industry groups and publications. We have received the EPA’s Partner of the Year award, and we have also won the prestigious PR News Corporate Social Responsibility Award for Environmental Communication. Details about out green cleaning program. 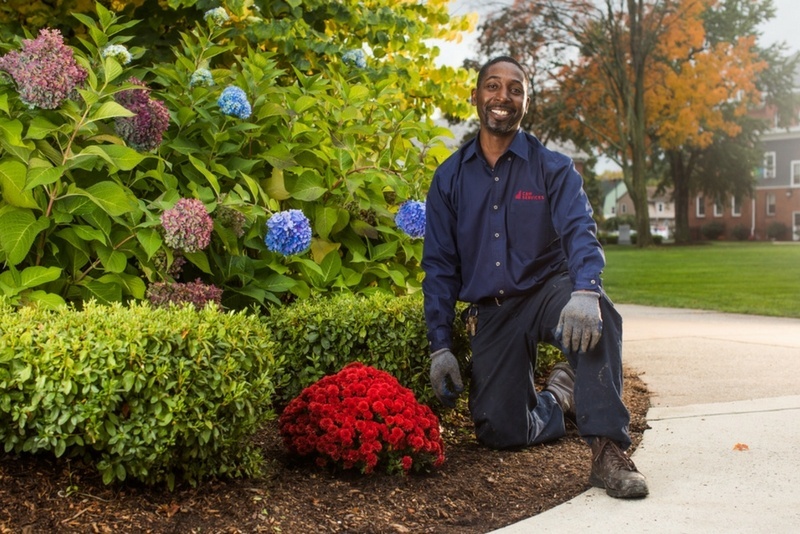 From operations to maintenance to landscaping, we structure our purchasing in a way that reduces adverse impacts on the environment while satisfying customer demand for environmentally sensitive products and services. Our purchasing team develops agreements with selected manufacturers for consumable products that reduce harmful contaminants to the facility and reduce excess packaging. These two complementary goals create healthier, greener workplaces while helping to reduce costs associated with purchasing, operating, and disposal. ▪ Reducing and eliminating toxic compounds from cleaning and maintenance materials and products. Green Seal certified products receive preferential consideration. ▪ Reducing air borne particulates and volatile organic compounds in the workplace. ▪ Purchasing chemical concentrates in order to minimize waste by reducing the volume and weight of packaging. ▪ Pursuing innovations and products that help increase operating efficiencies, conserve energy and water. All of the machines and tools we use must meet the stringent GS-42 standard. Additionally, we have embraced new Internet of Things (IoT) devices that enable us to deliver green cleaning in a more efficient manner. 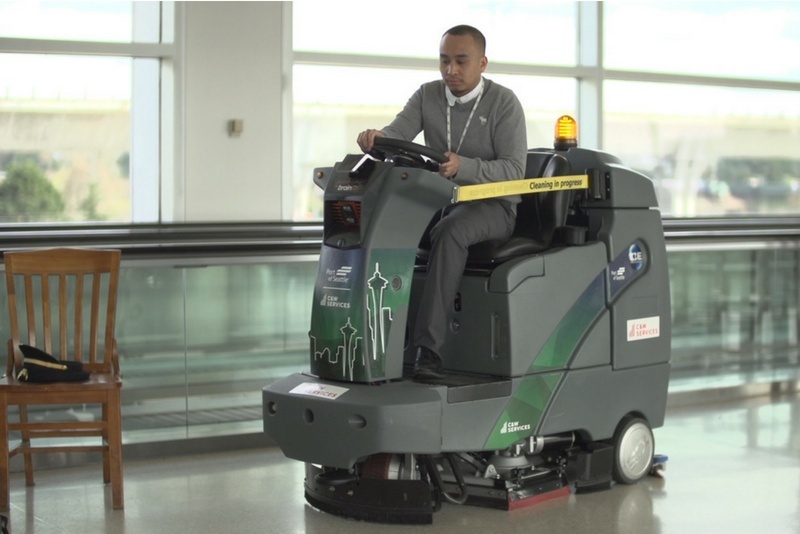 Read about how, at Seattle’s Sea-Tac airport, we recently implemented a fleet of six self-driving floor care machines. Additionally, learn about how we’ve been implementing IoT sensors in order to have real-time utilization and smarter resource and asset management at our client sites. Who’s taking care of your facility? We are embracing green cleaning technologies and ideas to raise the value of facilities services across the U.S. and Canada. Get inspired and read more stories about how we’re leveraging new innovative technologies to deliver a broad portfolio of services, develop and empower our people, and define a new status quo.